← The Force Is In All Of Us! Wow! You can pre-order most of The Black Series [Phase III] 6″ figures on Amazon right now for the low price of $17.99 each. Special thanks to friend Colin for the alert! Amazon Once Again Restocks TVC "Photorealistic" Repacks! The Vintage Collection repacks with new “photorealistic” deco are BACK IN STOCK at Amazon! ← TVC Death Star Gunner, Artoo-Detoo (R2-D2): Pre-order Now! Pre-order The Black Series Archive Wave 2 On Amazon! You can also pre-order the next wave of The Black Series Archive line on Amazon too! TVC Death Star Gunner, Artoo-Detoo (R2-D2): Pre-order Now! Pre-order the next wave of The Vintage Collection figures on Amazon! UPDATE: All sold out at $12.99 each. HURRY! IN STOCK! TVC Repacks With "Photorealistic" Technology On Amazon! The Vintage Collection repacks with new “photorealistic” deco are IN STOCK at Amazon! ← Pre-order TBS6 [P3] Mace Windu Wave At GameStop! It’s not as cheap as the first time, but still significantly lower in price! Amazon has listed the Hyper Real Darth Vader for $56 and change with Prime. Hurry! Thanks to JTA reader Floyd for the alert! ← What's The Deal With TVC Han Solo (Stormtrooper)'s Packaging? Yeah, even Amazon thinks $79.99 is ridiculous for a Hasbro figure. They’ve listed the Hyper Real Darth Vader for $49.99 with Prime. Hurry! Thanks to Cybereye for the alert! UPDATE: Hyper Real Darth Vader is now $79.99! They must have been alerted to their mistake! Amazon has the Star Wars [Solo] Mission on Vandor-1 multipack on sale for $16.27. Click here to order. A big thanks to JTA moderator Jeff for the alert! If you’re still in need of this First Order Flametrooper to complete your TLJ line-up, it is only $7 on Amazon right now. Not too terrible for a trooper that can hold his weapon with both hands, although having joints would be much better! ← Ready For A Crazy Episode IX Rumor? If you missed out on this item on eBay, the same seller has non-damaged versions of it for only $149.99 on Amazon and with Prime. Thanks to JTA reader Germinator for the alert! Amazon has the Resistance Ski Speeder Vehicle listed for $12.96 if anyone still has interest in picking this up at a discount price. Thanks to JTA reader Ian for the alert! The Amazon Exclusive LEGO Darth Vader’s Castle is listed as the Deal of the Day on Amazon. It’s on sale for $89.99. Thanks to JTA reader Greg for the alert! TBS6 [P3] Dewback And Sandtrooper Cheap On Amazon! The Black Series [Phase III] 6″ Dewback/Imperial Sandtrooper set is cheap on Amazon RIGHT NOW! Get it for $29.97. Special thanks to JTA reader Ray for the alert! ← Found! TBS [P3] Dengar/Lando Skiff Wave Found At Walmart! Have You Seen The Aftermarket Values For TVC Jocasta Nu Lately?! Well, here is something I completely lost track of until today. I was sure we’d see Jocasta Nu in stock at Brian’s Toys until the end of the world. But they’re completely sold out of it. SO I checked the aftermarket. Would you believe she averages $100 on both eBay and Amazon? I never expected this figure to go for this much money ever. Never say never! Former Walmart Exclusive TBS [P3] For MSRP Or Lower On Amazon! There are a ton of The Black Series [Phase III] 3.75″ figures listed cheaply right now on Amazon, including Prototype Fett and many others. Special thanks to JTA reader Mark for the alert! Good Amazon Deals; One Ends Soon! 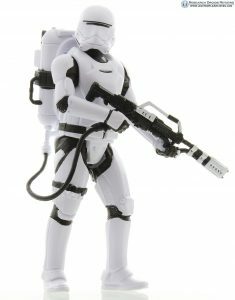 The Black Series [Phase III] 6″ “Stormtrooper” 4-Pack is the Deal of the Day for $47.99. Also, they have The Vintage Collection Hoth Rebel Trooper for normal MSRP. ← New Walmart Reset Coming October-ish: New TVC Is Part Of It! There are some great deals on 3.75″ scaled The Black Series [Phase III] figures pn Amazon. Special thanks to JTA reader Mark fro the alert! There is an “interesting” calendar on Amazon which features vintage Kenner action figures. Similar to the Five Below poster we reported about recently, most of the figures are incomplete. What’s more, some have been placed in scenes that are screen-inaccurate. The makers of these products should probably check out our vintage Kenner archives for accuracy and inspiration. Anyway, check it out. Special thanks to JTA reader Jason S. for alerting us to this item. ← NZ Mint: An Ultra High Relief Death Star Appears in Pure Silver! Amazon Has The Star Wars [Solo] Force Link 2.0 TIE Fighter IN STOCK! If you’re interested, Amazon has the Star Wars [Solo] TIE Fighter Force Link 2.0 vehicle in stock for $39.99 and Prime 1-day shipping. Special thanks to JTA reader Mark W. for the alert. If you want to see a full gallery including comparison pictures, click HERE to check out our in-depth review. ← Hurry! Hasbro Toy Shop Has New Force Link 2.0 Figures IN STOCK! Solo Entertainment Four-Pack IN STOCK On Amazon! The Star Wars [Solo] Home Entertainment Pack is NOW IN STOCK! If you’re lucky, you might be able to grab one. Special thanks to all who wrote to us about this availability! UPDATE: Dang! Sold out already. Availability of action figures at brick and mortar retail stores has been a topic of debate lately. 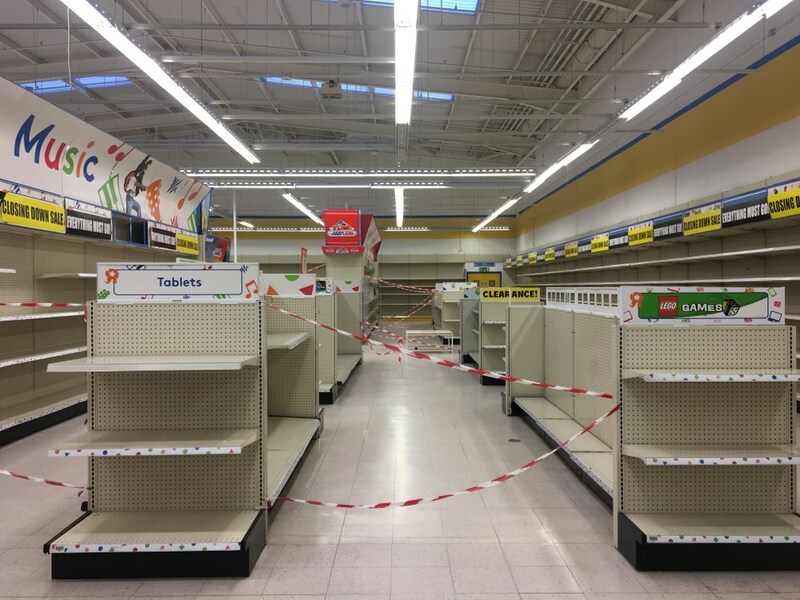 But what is the state of the US toy industry and US toy retailers in 2018, after the demise of Toys R Us? Click through for more details! 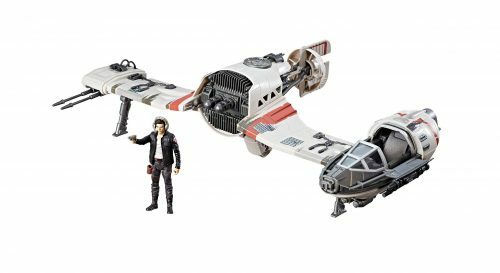 TBS6 [P3] Rey's Speeder (Jakku) Now $14.99 Prime On Amazon! Guess who else followed suit to mark down The Black Series [Phase III] Rey’s Speeder (Jakku) 6″ vehicle? Right now you can secure one on Amazon for $14.99 with Prime. Thanks to all who wrote in to alert us! Amazon has listed the Tobias Beckett Force Link 2.0 figure on their website. Special thanks to JTA reader rivesjunctionite for the link! Repacked TVC Sequel Trilogy Army-Builder: Now A $6 Add-On Item At Amazon! Holy cow. The Vintage Collection First Order Stormtrooper is now a $6 Add-on item on Amazon. Get ’em while they’re cheap! It will be a cold day on Mustafar before that upcoming Imperial Stormtrooper follows suit! Special thanks to JTA reader Also S. for the alert! The highly anticipated Thrawn sequel is out today. 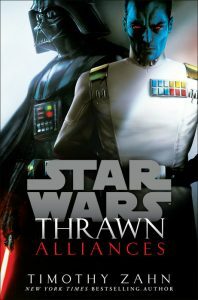 You can pick up Thrawn: Alliances on Amazon right here. ← Solo: A Star Wars Story Blu-ray Release Date: September 25th! Amazon Stock Of Imperial Combat Assault Tank Shipping & IN STOCK! If you pre-ordered The Vintage Collection Imperial Combat Assault Tank from Amazon, they’ve begun shipping them despite initially listed with an August 3rd availability date. They are also in stock as we post this. Special thanks to JTA reader Mike R. for the alert! If you’re interested, The Black Series [Phase III] Kylo Ren Centerpiece figure is marked down to $28.96 with Prime plus if you click a coupon on the product page, they’ll deduct another $1 off the total for you too. Special thanks to JTA reader Jay V. for the alert! Well, here we go again. Many of the latest The Vintage Collection figures are no Add-on Items at Amazon.com, listed for about half their MSRP. See the list for yourself. This is a tip to Hasbro that straight repacks should be the minority, not the majority, especially Sequel Trilogy repacks. No one wants them. NOT relegated to Add-on Item status: OT Hoth Trooper. Special thanks to JTA reader Agustin for the alert! The Black Series [Phase III] Force FX Z-6 Riot Control Baton Pre-order! If you’re interested, The Vintage Collection First Order Stormtrooper is $8.99 with Prime on Amazon. Interestingly, this is the only figure piling up at my local TARGET stores. Special thanks to vikingrobot for the tip!